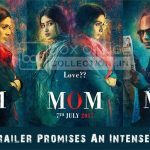 Couple of weeks back released suspense thriller Mom has impressed everyone with it’s strong content and performances by the actors. From critics as well as audience, the movie received huge appreciation and as a result remained steady in the second week as well. Directed by Ravi Udyawar, Mom stars veteran actress Mom, Nawazuddin Siddiqui and Akshaye Khanna in lead roles. All the actors have given brilliant performances in the movie, which is the major reason behind the steady run of it at domestic box office. 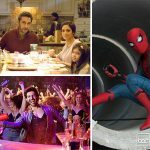 Being released in opposite to highly buzzed Spider Man Homecoming, Mom started it’s journey on a decent note but due to positive word of mouth it picked up well and registered the business of 23.80 crores in the opening week, that included 14.40 crores of weekend and 9.40 crores of weekdays. In the second weekend, Mom once again witnessed growth in footfalls and did the business of 6.01 crores with 1.06 crores on Friday, 2.21 crores on Saturday and 2.74 crores on Sunday. Then in weekdays, the movie faced usual drops but still managed to remain decent. With around 28% of drop than last Friday, Mom minted the amount of 0.76 crore on it’s second Monday. Recording slight growth, it added 0.81 crore on Tuesday, 0.84 crore on Wednesday and 0.81 crore on Thursday. With this, total second week collection of Mon has become 9.23 crores, which made it’s 2 weeks domestic total as 33.03 crores including Hindi, Telugu, Tamil and Malayalam versions.